Universal. World premiere in Detroit, August 14, 1927. Based on the 1921 play by John Willard. Adapted by Alfred A. Cohn and Robert F. Hill. Directed by Paul Leni. Starring Laura La Plante, Creighton Hale, Forrest Stanley, Tully Marshall, Gertrude Astor, Flora Finch, Arthur Edmund Carew, Martha Mattox, George Siegmann, Lucien Littlefield. I had planned to watch The Cat and the Canary around Halloween, but never got to it. I hate to admit it, but that often happens to me with silent films. On the bright side, the few silents I do make it to are usually the best-known classics, so I generally have a rewarding experience. Chances are that I would not have returned to this one until next October except: A) Turner Classic Movies played the 1939 version of the movie during an evening of Bob Hope movies, and B) I am still researching Helen Twelvetrees and was looking for background about her appearance in the 1930 lost film, The Cat Creeps, the first talkie version of the story. I enjoyed Paramount’s 1939 adaptation starring Bob Hope and Paulette Goddard, but Hope’s puns were hit and (mostly) miss with me. The background music that played throughout was even hokier. I admit my comedy tastes generally run contrary to popular view, so for me the most enjoyable parts of that movie were scenes featuring George Zucco, Gale Sondergaard, and even Douglass Montgomery. 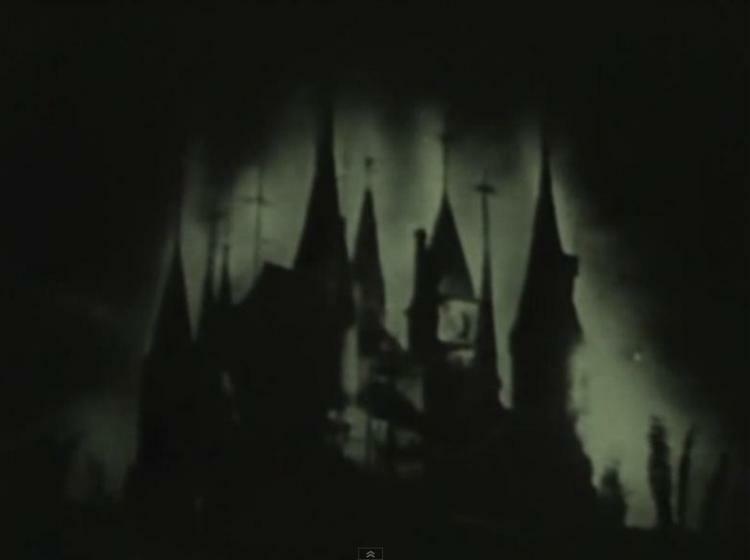 Since The Cat Creeps cannot be viewed, I finally pressed play on Universal’s earlier silent film version. What surprised me most about the extremely atmospheric 1927 film is that Creighton Hale, who plays the same part that Bob Hope did in 1939, shoots for laughs every bit as often as Hope later did. 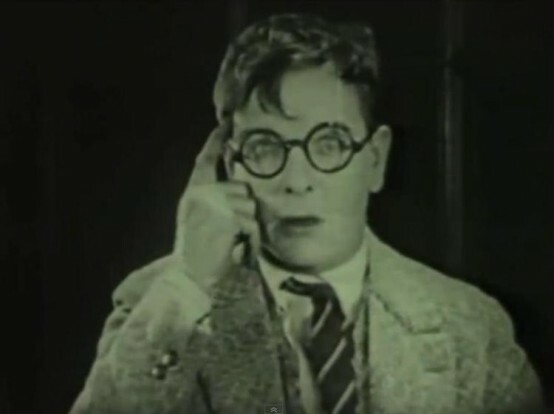 Hale, looking like Harold Lloyd’s Glasses Character, bumbles all over the place and generally makes a nuisance of himself until the finale, when he sheds his glasses and finds his nerve. Above: Creighton Hale as Paul Jones. For me, Hale had the advantage of being mute. He plays the character as an even bigger fool than Hope did, but I only had to see Hale’s corn, not hear it. Despite all of the grating puns, I found Hope’s version of the character more believable by the end of that movie, but that’s only because Hale, in removing his glasses, makes as big a transformation as Clark Kent does into Superman. The Cat and the Canary began as a play first performed in 1922. Its author was actor John Willard, who cast himself in the part later played on screen by Hale and Hope. I imagine I wouldn’t have found him funny either. 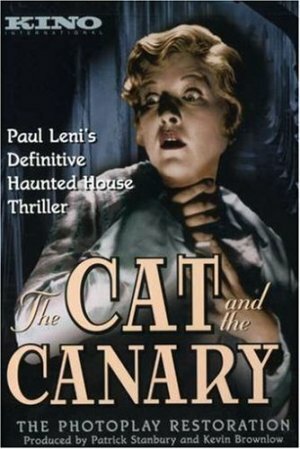 Universal put their first adaptation in the hands of German-born director Paul Leni, who, despite the bits of comedy, crafted it into a creepy Expressionist thriller with more in common visually with films like The Cabinet of Dr. Caligari (1920) than it has with the 1939 remake of The Cat and the Canary, despite the almost universally similar action transpiring within each film. Above: Laura La Plante as Annabelle West, menaced from above. The story has been around so long now that it’s familiar even if you’ve never seen any of the movies. Eccentric millionaire Cyrus West leaves a will to be read twenty years to the day after his death as the clock chimes midnight. West held a grudge against his family because they tried to drive him insane while he was alive in order to claim his fortune. Leni shows the predicament by trapping West amongst towering medicine bottles while black cats swipe at him from both sides. The imagery is the best illustration of the title, making West look like a helpless canary completely at the mercy of his giant tormentors. 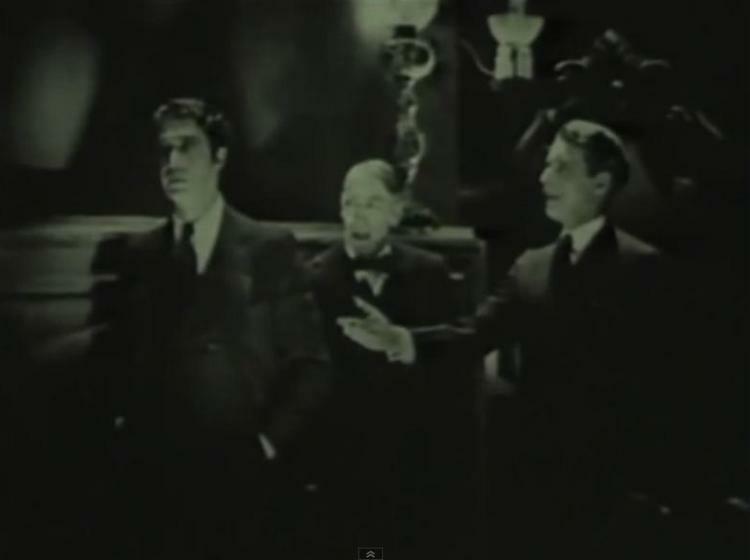 West’s lawyer, Crosby (Tully Marshall) is first to arrive at the threatening mansion. He’s greeted inside by Mammy Pleasant (Martha Mattox), West’s loyal housekeeper, who’s remained on the property to spend her time with her master’s spirit. They await the arrival of West’s possible heirs. They are the dour-looking Harry (Arthur Edmund Carewe), the more affable Charles Wilder (Forrest Stanley), dotty Aunt Susan (Flora Finch) and niece Cecily (Gertrude Astor), jumpy young Paul Jones (Creighton Hale), and the lovely Annabelle West (Laura La Plante). Once all of the parties have arrived, Crosby gathers them at a table to read the will. First, he explains an added stipulation that the spiteful West added: Because of all of the suspicion over his own sanity, the person he chooses as heir will be examined by a doctor to make sure they are sane. In case they are not, his fortune will instead go to a back-up heir whose name is contained inside a second envelope tucked inside of Crosby’s pocket. Above: Arthur Edmund Carew, Tully Marshall, and Forrest Stanley. Annabelle is named heir and while Paul couldn’t be happier for her, the others are resentful over her selection. When Annabelle meets privately with Crosby in the library, a secret passage opens in the wall behind the lawyer. A claw-like hand teases its way out, grabbing Crosby and yanking him into the wall and out of view. Annabelle screams, bringing the other relatives rushing in. The incident, unseen by any of the others, causes them to question Annabelle’s sanity. Her position is worsened by the fact that the envelope containing the name of the back-up heir has disappeared along with Crosby. As the evening continues intrigue mounts on several fronts. There is news of an escaped inmate from the nearby asylum. The mysterious claw makes additional visits from various secret compartments hidden throughout the mansion. Crosby’s body returns from one such compartment, but the lawyer is dead and the letter naming the second heir remains missing. The doctor arrives, and for some reason he looks as though he’s just risen from the dead. And, of course, there are the continued threatening glares and deadpan comments of Mammy Pleasant to contend with. The characters are each interesting enough to keep us from ever questioning the story, while also keeping the suspicions equally divided when it comes to guessing who the murderer is. The escaped lunatic is an extra twist when trying to guess who’s haunting the mansion. 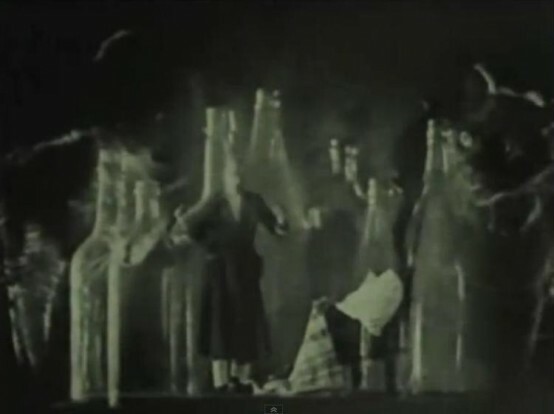 Of course, Mammy Pleasant may be right, it just could be ghosts kicking up a fuss. Laura La Plante works as well as any actress would as Annabelle West. She doesn’t have many character traits beyond beauty and charm, so she’s one of the least interesting characters, but enough obstacles are placed in her path for audiences to fear for Annabelle as the threats mount. Above: Laura La Plante as Annabelle West. Hale wore on me, similar to Hope, though we've already established that my sense of humor may clash with your own. He did have one genuinely funny scene where he is caught hiding under a bed while Aunt Susan and Cecily change into their nightclothes. Finch and Astor made for a fun pair when together, and especially when Hale joined them, but Finch herself was a bit much during the climax. In the case of that scene, I again found it beneficial that the comedy was seen and not heard. Above: Flora Finch and Gertrude Astor. The 1927 silent version of The Cat and the Canary still works as an old dark house thriller. Leni’s touches often make it even more beautiful than chilling. 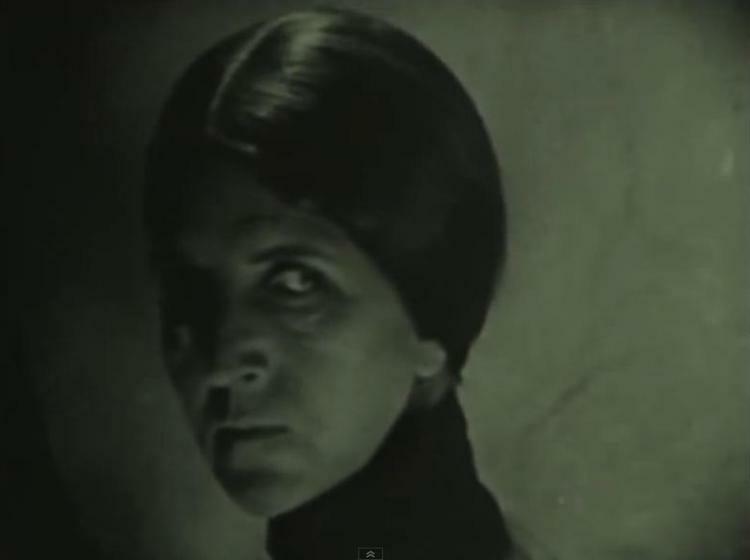 Highlights include imagery such as the black cats threatening Cyrus West, and any appearance of Mammy Pleasant, whose expressions manage to be menacing from whichever stark angle they’re shown. Like the ‘39 remake, the laughs often felt forced, but the lack of dialogue made the comedy subtler and more enjoyable for me than the later film. In between the 1927 and 1939 versions of The Cat and the Canary, Universal simultaneously filmed two early talkie adaptations, the English-language The Cat Creeps starring Helen Twelvetrees, and the Spanish-language La voluntad del muerto starring Lupita Tovar, both released in 1930. 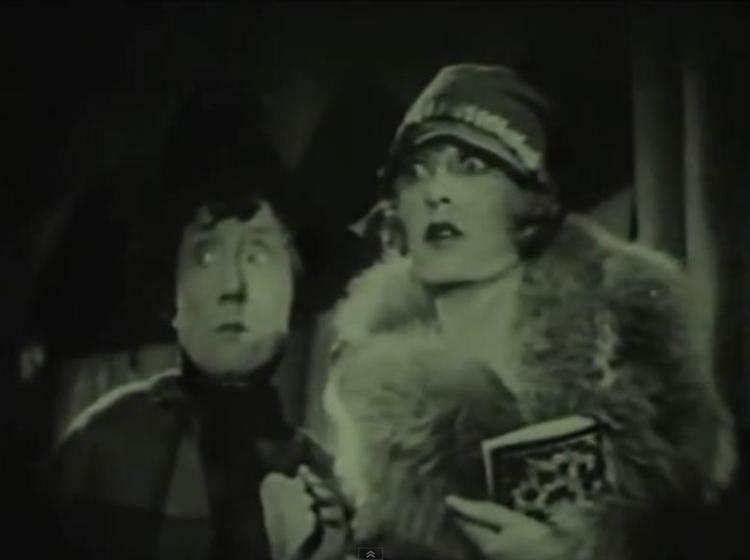 Both films are lost, though several brief, yet key scenes featuring Twelvetrees in the English-language version can be seen in the comedy short Boo (1932). If you’re shopping for the DVD in the U.S. then the edition from Kino Lorber is the popular choice for the 1927 film, which can also be viewed online in many places free-of-charge. 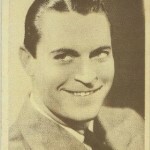 The 1939 movie featuring Bob Hope was released by Universal to their Vault Series in 2011 as a manufactured-on-demand DVD-R . If you’re interested in The Cat Creeps, you’ll have to settle for Boo. Mystery-thriller that also shoots for some laughs. 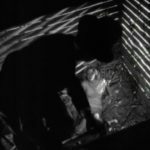 Many scenes equally beautiful and haunting courtesy German expatriate director Paul Leni. Mystery keeps you guessing. Horror/Ghost angle teased well. Capable cast led by Laura La Plante with Tully Marshall and Martha Mattox especially excelling.